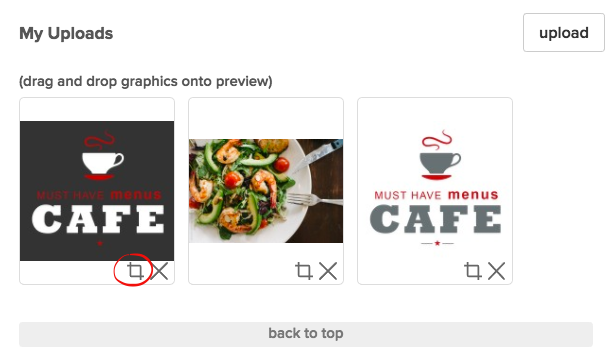 Upon uploading a graphic to your account, the option to crop the graphic will appear. In addition, click the Graphics tab then My Uploads to crop any uploaded graphics. Click the small icon as shown below then select the desired image bounds before clicking "crop."